Posted March 22, 2016 by finnfemme & filed under Beauty, Fashion, Vintage. This is an interesting tie-in ad from 1946 that has actress Loretta Young promoting both a product (Max Factor Pan-Cake makeup), and her movie (“The Stranger”). It makes sense to have a beautiful Hollywood actress promoting Pan-Cake makeup, as it was initially developed to be used in Technicolor movies. The old-style greasepaint makeup used in black and white would reflect colors from the surrounding scenery and reflect on the actor’s faces. Many screen stars knew of this issue and refused to appear in Technicolor films. Thus, the “pancake” matte style makeup was created by Max Factor Hollywood to solve the problem. 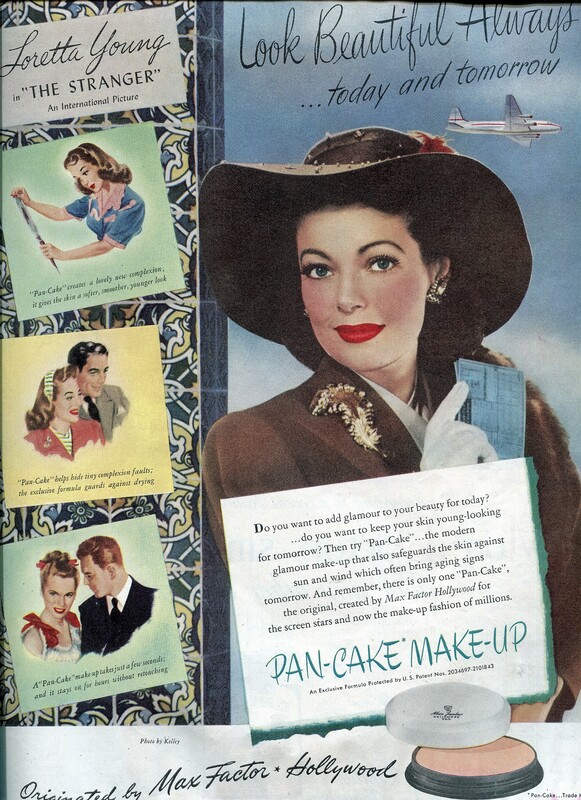 Pan-Cake makeup was first used commercially in the 1937 Technicolor Process 4 film “Vogues of 1938”. 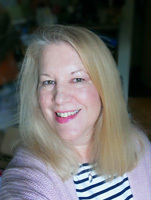 The new makeup was very successful and was soon embraced by the Hollywood studios. “Look Beautiful Always…today and tomorrow” suggests that Pan-Cake makeup will give you a glowing complexion and hide imperfections today, while safeguarding the skin against sun and wind which bring aging signs tomorrow. Which, considering all the anti-aging/sunscreen promotion now, was a little ahead of its time then.